He must really hate those cans! 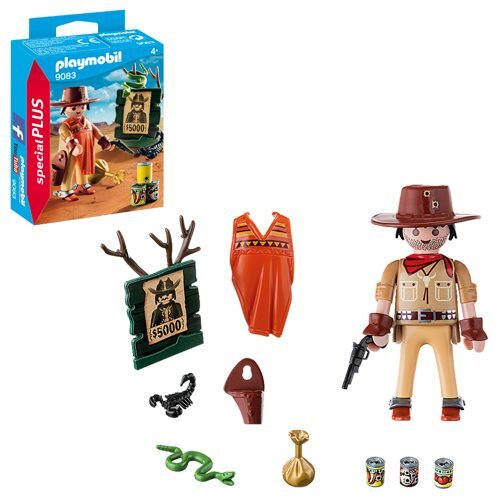 The Playmobil 9083 Special Plus Cowboy with Wanted Poster comes with hat, poster, poncho, and of course bullet-riddled cans. And a snake. He's got spurs, too - this is a figure with everything! Ages 4 and up.